1. 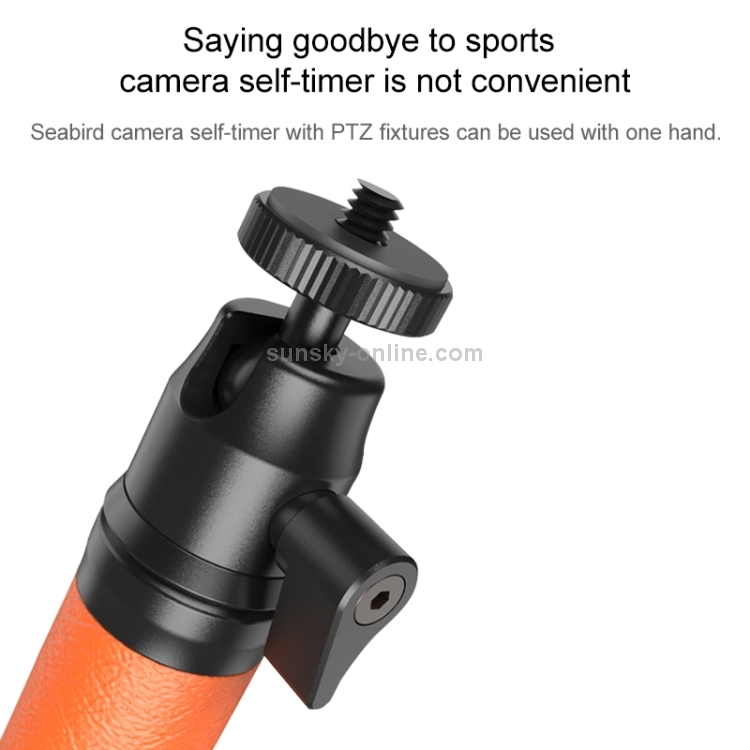 The SEABIRD camera self-timer comes with a PTZ fixture. Once fixed, it can be used with one hand and framing. It is not convenient to say goodbye to the camera. 2. 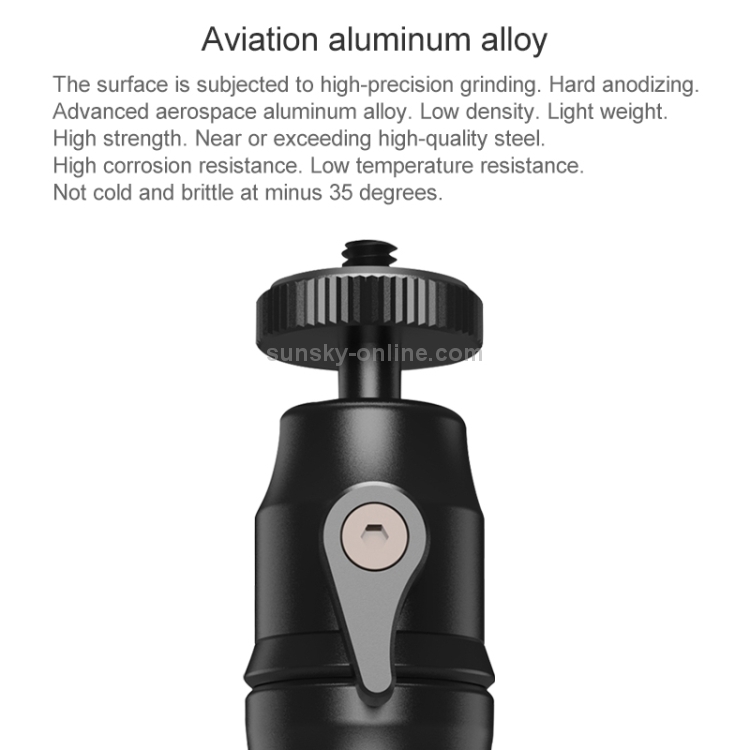 The high-grade aluminum alloy surface is subjected to high-precision grinding and hard anodizing, and its density is low and the weight is light. High strength, close to or exceeds high-quality steel, strong corrosion resistance, low temperature resistance, not cold and brittle at minus 35 degrees, wear-resistant. 3. Quickly install the seabird camera without the need to purchase additional adapters or screws. 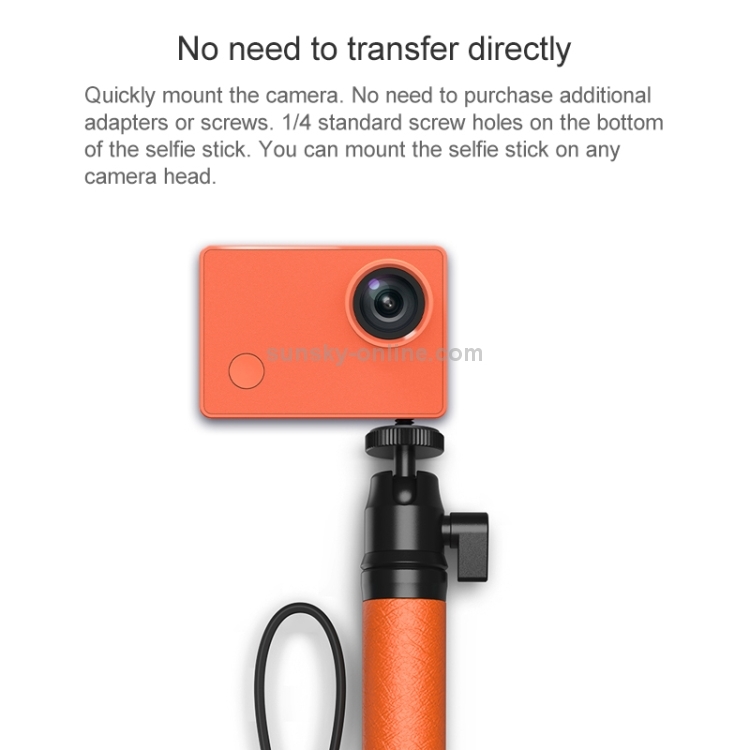 The 1/4 standard screw hole on the bottom of the selfie stick allows the self-timer to be mounted on any camera head. 4. 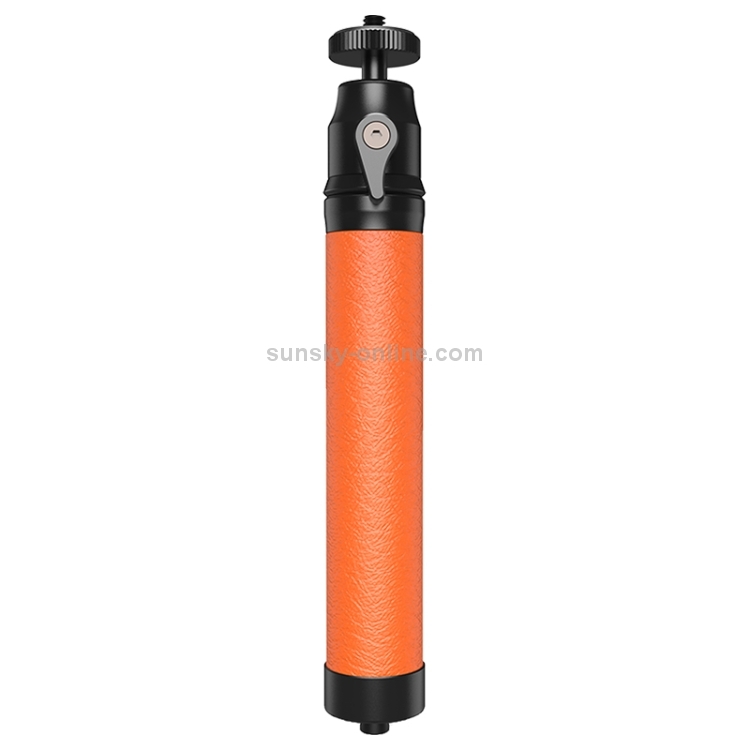 Leather handle, with good anti-aging, tear elongation, wear resistance, rebound value, moderate hardness, waterproof, no deformation, to solve the traditional sponge grip is easy to deform, afraid of water and other defects. 5. Shrink 19cm, stretch 70cm, and decide the shooting distance. 6. 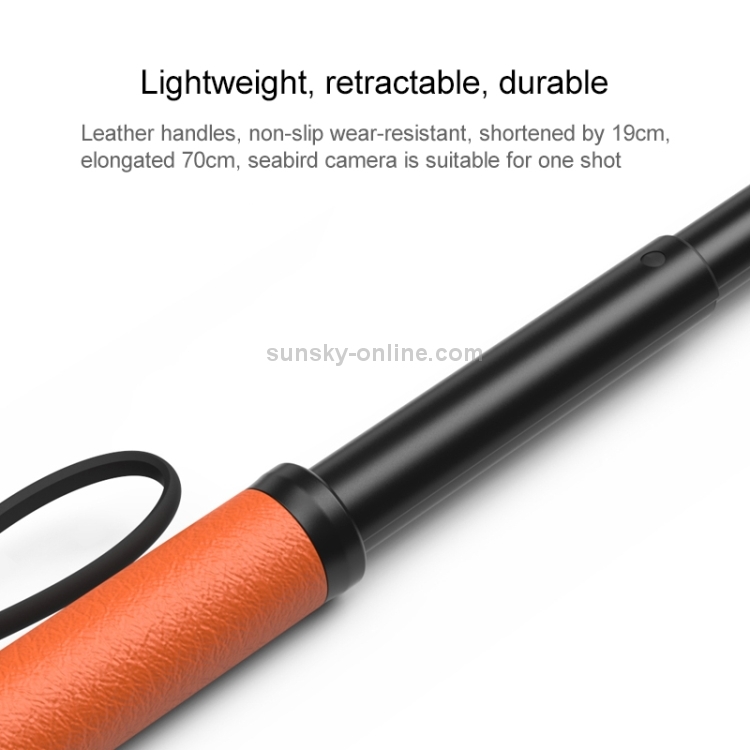 The strong rubber hand strap can be hung on the wrist when not using the self-timer, which is portable and does not affect the action. 2. Length: shrinkage 19cm, elongation 70cm. 3. Number of sections: 6 knots. 4. 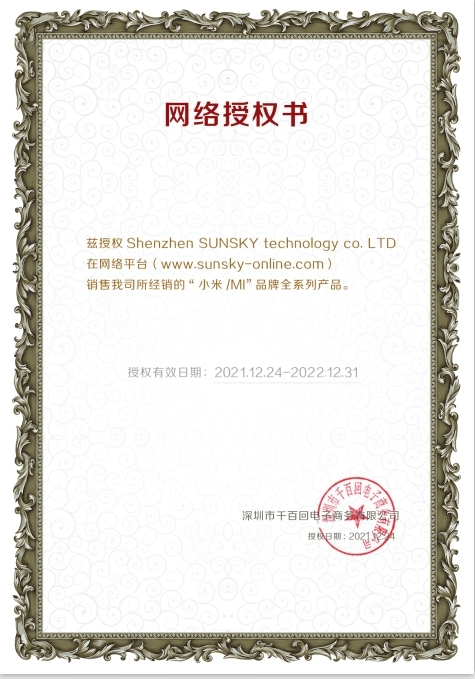 Material: plastic + stainless steel + aluminum alloy.